2010 Fatboy® take off, direct fit 2010 +. Satin finish removed during dealer prep. 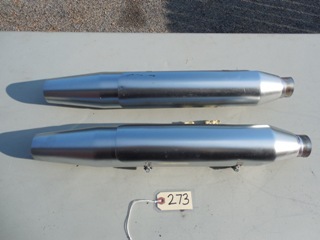 Front mufflers part # 65822-10. Rear muffler part # 65862-10.